For the matching 3.5mm audio cables, please search them on Amazon with ASIN: B073RF3R2D or B073RF4NYS. Please note this is a preamplifier (not like NS-08E), which needs to be connected with amplifiers or active speakers. It is not a phono preamp and can't be used for turntables. 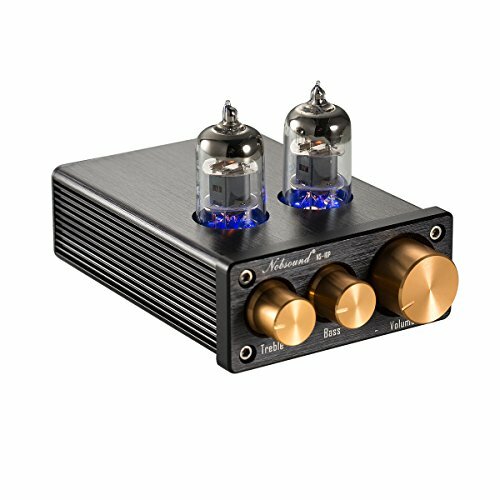 It suits for almost all amplifiers in the market especially for tube headphone amps like our NS-08E (B014FASL1A), NS-01E (B01I19SBAW) and NS-02E (B01M7101CY), and will greatly enhance the sound performance of digital amplifiers like our TPA3116 amps (B00WTOAC1M / B074J9X3P5 / B01HD5T4QA / B07548PWQQ).